DMT WORKHOLDING is committed to excellence in custom workholding fixture design and manufacturing. As the leading supplier of quality CNC custom fixturing, we back up our custom workholding fixtures with the best warranty in the industry. DMT offers a full two year warranty for all manufacturing and purchased components of the fixture. Other fixture builders may offer a two year but it typically only covers their manufacturing and not the purchased components. With over 200 years of collective design, engineering, and manufacturing experience on staff, we are your best choice when seeking a quality custom workholding fixture partner. 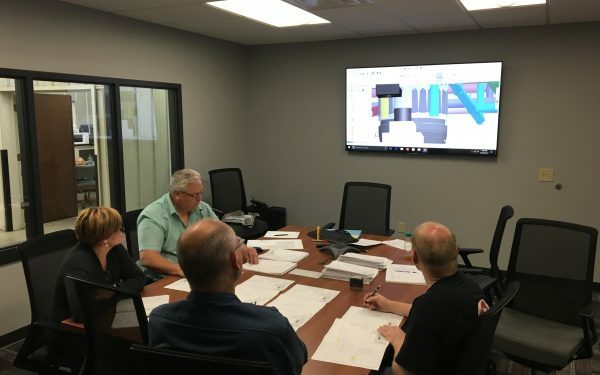 This internal meeting ensures the project engineer is intimately familiar with each and every design element and function of the fixture. As soon as the project is confirmed, DMT will reach out to the customer to arrange for a kickoff meeting (virtual or in person). Weekly communication of project status, photos of progress, and weekly calls as desired by customer. Project Gantt Charts or customer desired schedule format. Part loading and retention review including deflection test, hydraulic cycle and leak test, CMM inspection data, and general fixture fit and finish. It’s not necessarily always cost. Sometimes it comes down to KNOWING a company can do the job, and that’s why we’ll go to DMT for the most complex jobs. Fixtures represent about 10-15% of the value of the project but can be major headaches if it’s wrong. …DMT’s is our partner and are great for large parts, heavy parts – heavy duty. For us they work well for customers like caterpillar. DMT is Turnkey and integration. If we need a total system, then most other suppliers drop off the list. They know how to design and build the full realm of a system. They have good technology, innovation and they’re easy to work with. DMT's greatest strength is versatility; their ability to take on an entire project--from design to implementation--and their ability to integrate with our other pieces of equipment. They truly understand the project and demonstrate that ability by doing what they said they would. DMT was selected by our OEM supplier, but once we saw their work we liked it. 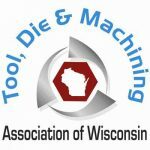 They know machining. They understand CNC. There is no learning curve. Cost is important but time and quality is even more critical. I stick with people I can trust. One thing that sets DMT apart is the amount of detail they provide. They’re really good at that. You’ll get a higher quality fixture. They’re good people who know their stuff. What matters most when selecting a workholding company is seeing their work and knowing in advance how they’re going to support you. …There is no one else who does what DMT does as well as they do. We choose to work with DMT because of the quality of their products and their design capabilities. When you work with DMT you know it’s going to turn out right. You can count on what you are going to get. Our experience is that DMT is a terrific supplier and their people are highly skilled, professional, and customer driven. We see DMT as a benchmark supplier. Contact the DMT Sales & Engineering team by completing this form. Are you looking for a quote of services? Yes, and I have more details to share. Please use our FTP to upload drawings, models, or other files.